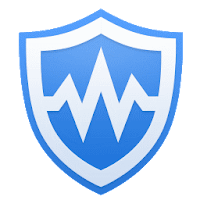 Wise Care 365 is a comprehensive, all-in-one PC tune-up utility, that will keep your windows secure, clean and fast - in tiptop shape and running at peak performance. It's a reliable piece of software that has been developed by a group of top programmers, all of whom have at least ten years experience. WiseCare 365 includes both Wise Disk Cleaner and Wise Registry Cleaner. However, with other attractive and exciting features, it is far more than just that. Wise Care 365 provides the best solution to improve your PC's performance. It not only promises a dead easy use but also brings the advantage of full-featured, practical and economical. WiseCare 365 is consisted of five parts: PC Checkup, System Cleaner, System Tune-up, Privacy Protector and System Monitoring. PC Checkup can check the whole running condition of your PC, mark its health status with 10 as the full score and then show you quick-fix solutions. System Cleaner will help you to remove invalid Windows registry entries and clean useless files, download history, browsing history, invalid shortcuts, traces, cache, cookies, passwords, Windows components, and files with specific extensions etc. It also slim down system and manage big files. With System Tuneup, you can optimize the system and network, defragment disk and registry; manage startup & services and context menu. Privacy Protector will erase your browsing history such as the viewed pictures, watched movies/videos, accessed files and visited pages, prevent files or data from being recovered by recovery software, and generate all kinds of passwords for you. The program adopts world’s top technology. all his features are highly reviewed by PCWorld, PCAdvisor, ComputerBild, CHIP, CNET, ZDNet, and so on. Improved Windows Metro Cache cleaning. Disclaimer: Direct downloads for the lastest version of Wise Care 365 5.2.4.519 are provided by the official software's author, we can't guarantee safety, availability or download speed. Moreover, we don't and we won't provide any pirated/illegal versions or tools. We recommend you to avoid it as these methods can harm your device. If you like the software, buy it to support the developers. (We provide software discounts for many worldwide brands).